We all have heard the preacher who preaches without notes by stating everything that comes to her or his mind. 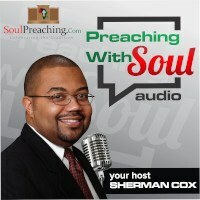 You know what I mean, the preacher grabs and articulates everything. I mean everything that occurs to the preacher. A whole ago, I heard a sermon that was just like this. The preacher had highs and lows. The preacher made some profound points. But the points had no relation to each other. Then the preacher sat down in a whimper. At the end of a sermon like this, it is very difficult to remember either the individual points or the main point of the sermon. You can imagine what went wrong. There is no main point and thus the people remember no main point! So how do we fix this? Glad you asked, here are four points to help you fix this problem. Sermons with or without notes should have a strong “gospel claim.” What are you saying about the good news of the Kingdom in your sermon? If you are not clear in your claim it will be difficult to be clear about what to put in your sermon. Sermons with or without notes should have a point informed and infused by that gospel claim! By that I mean at least one point and no more than one point. Well OK …if you want more than one point go ahead but make sure that they are related to each other so that they don’t obliterate each other. I fear that sometimes our 5 point masterpieces are either entirely forgotten or only 1 or 2 of the points are remembered. Sermons with or without notes should precede logically to a conclusion. And in the Black tradition that conclusion a lot of the time it will be a celebrative conclusion. I recognize that there may be some disagreement here. But I think usually if you are not headed towards a culmination people will know it at least subconsciously, and will begin to pay less attention to your message. Save your strongest point for the end, don’t end in a whimper. Sermons with or without notes should eliminate irrelevant asides. By irrelevant, I mean that they are not connected to your sermon’s main point. Don’t jump from thought to though without any rhyme or reason. Preaching Without Notes is not a brain dump. 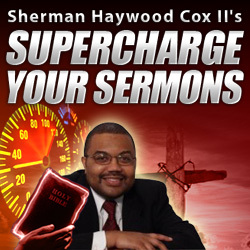 Put your sermon together as you would if you had a manuscript. Be open to the Spirit’s leading. Follow the text. And ultimately, allow that Biblical truth to come through you to the people.